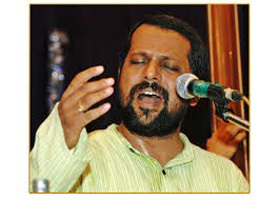 A vocalist par excellence, Sameer Dublay started under Pandit Rambhau Mate and mastered nuances of raags and performance technique with Pandit Jitendra Abhisheki, a legendary vocalist of Agra Gharana. At present he is learning from Dr. Ashok Da. Ranade, the great musician and musicologist. Sameer has toured extensively in India, UK, Europe, USA and Australia and has performed at numerous concerts. His CDs and writings are applauded. Sameer trains students from Lalit Kala Kendra, Pune University as a Guru and is Co-founder of Spectrum, an organization that imparts basic musical understanding through a well-designed Music Acquaintance Programme.